Alexey Miller, Chairman of the Gazprom Management Committee, held a meeting in Moscow to discuss the progress achieved in the predevelopment of the Chayandinskoye oil, gas and condensate field and the construction of the Power of Siberia gas trunkline. The meeting participants noted that the construction of the Power of Siberia gas pipeline was ahead of schedule. 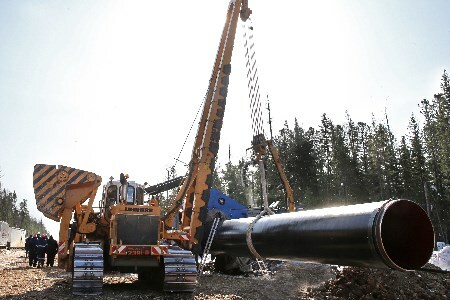 Presently, about 979 km of the pipeline are already built, which translates into 45% of the length of the priority section stretching from the Chayandinskoye field to Blagoveshchensk. It is planned to have over 1300 km of the pipeline completed by the end of this year. It was stressed at the meeting that gas supplies to China via Power of Siberia would commence on 20 December 2019, strictly in accordance with the supplementary agreement to Gazprom and CNPC’s sales and purchase agreement for Russian gas to be supplied via the eastern route.